A movie review of ​BLACK PANTHER. T’Challa a.k.a. superhero Black Panther states the line as we the audience get a first proper look at Wakanda. Its capital city is something out of television series GHOST IN THE SHELL (not the terrible recent movie), though without the dystopian vibes. We are in the present, yet the metropolis looks as if it has been brought back from a utopian future. The rest of the world pays no heed, believing the kingdom to be a developing nonentity. The country uses STAR TREK-style visual cloaking. The camouflage has provided two purposes for thousands of years: To stop envious nations attempting to war, and to prevent outsiders from stealing their technology. 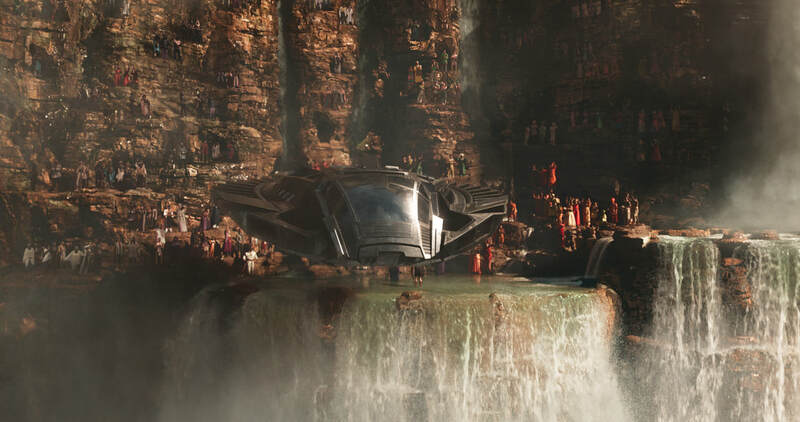 Wakanda is the world’s most powerful state, yet remains hidden. The pessimistic foreign policy is understandable when studying the carnage wrought by empires. BLACK PANTHER is about optimistic change. And do not for a single second think there is a gender bias to leadership. 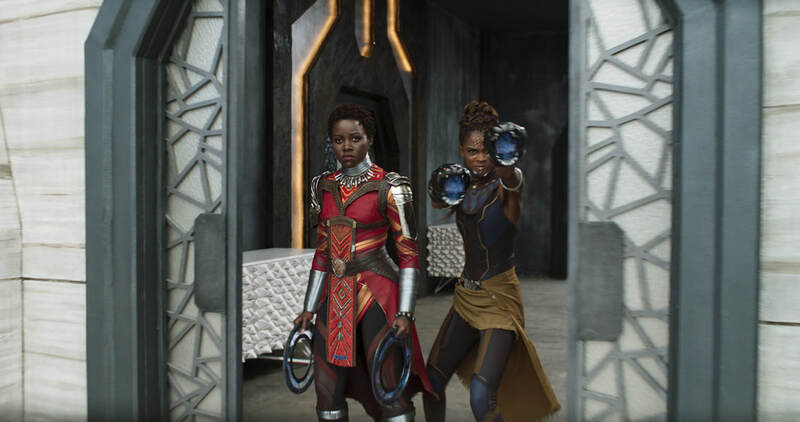 BLACK PANTHER is packed to the brim with badass, charismatic, intelligent female warriors. They are more formidable than any of the already formidable men. 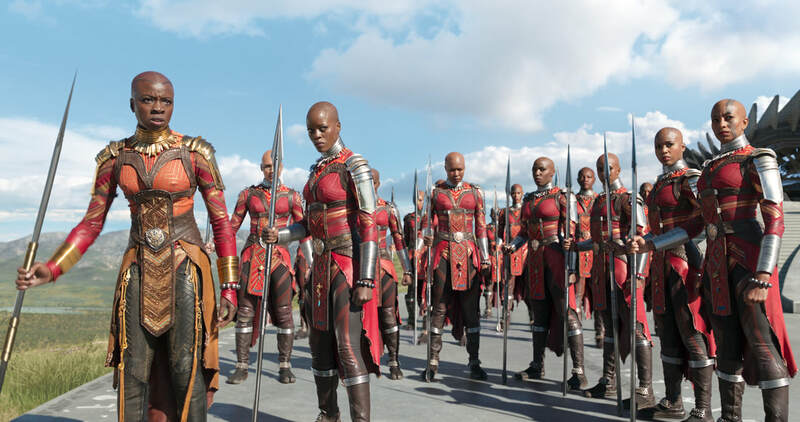 General Okoye (Danai Gurira – THE WALKING DEAD’s Michonne) is up there with Charlize Theron in MAD MAX: FURY ROAD and Rebecca Ferguson in MISSION: IMPOSSIBLE – ROGUE NATION. These three films put to shame other blockbusters in their portrayal of women protagonists. 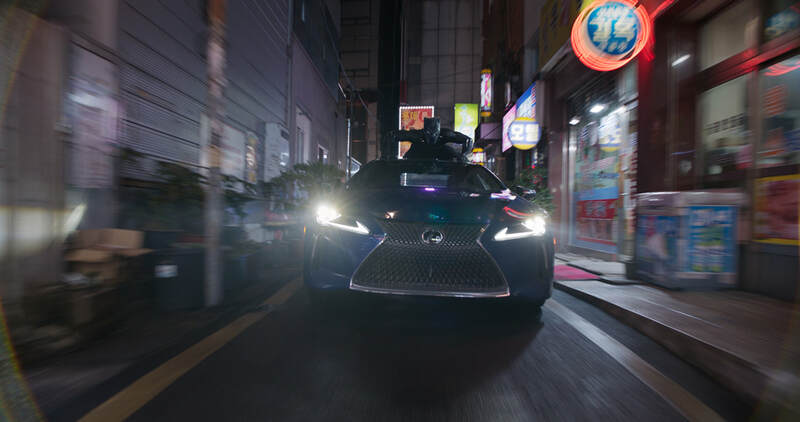 Black Panther’s younger sister Shuri (Letitia Wright) is like Q in the Bond movies. She is not just a princess, but a gifted scientist. And a fighter and weapons expert. What a role model for young women! (Wouldn’t it be great if Shuri took over from Tony Stark as Iron Man?) BLACK PANTHER is full to the rafters with positive representation. ​It has been a long time since BLADE (1998). It has been a long time since a non-Caucasian has been the lead in a blockbuster superhero movie. 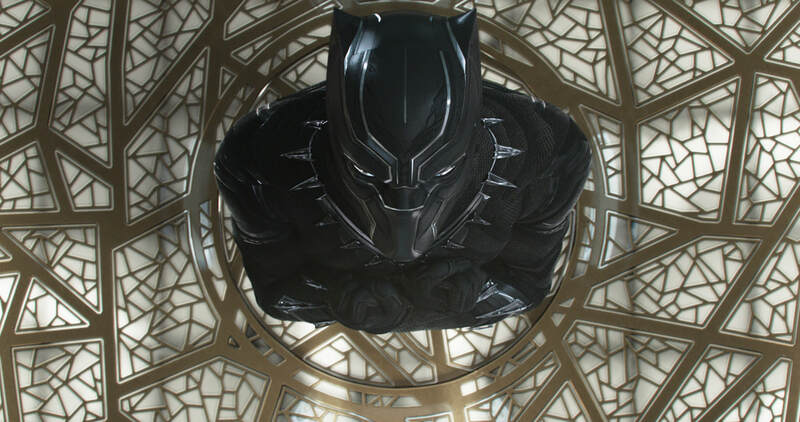 BLACK PANTHER is three for three for director Ryan Coogler. 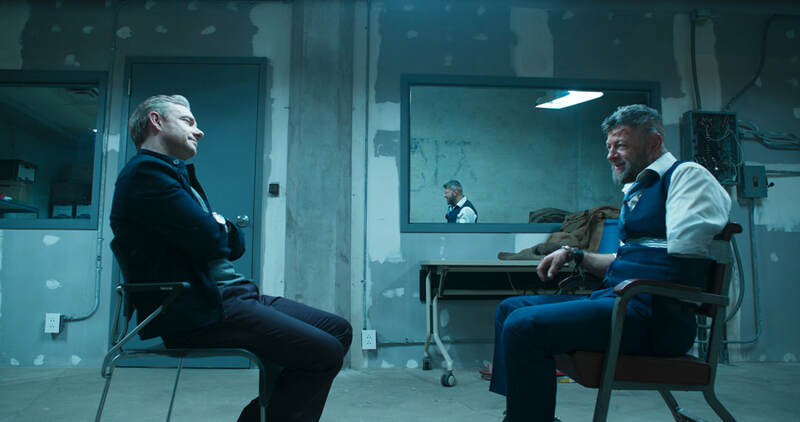 It is worth your time to watch his FRUITVALE STATION (2013) and CREED (2015). 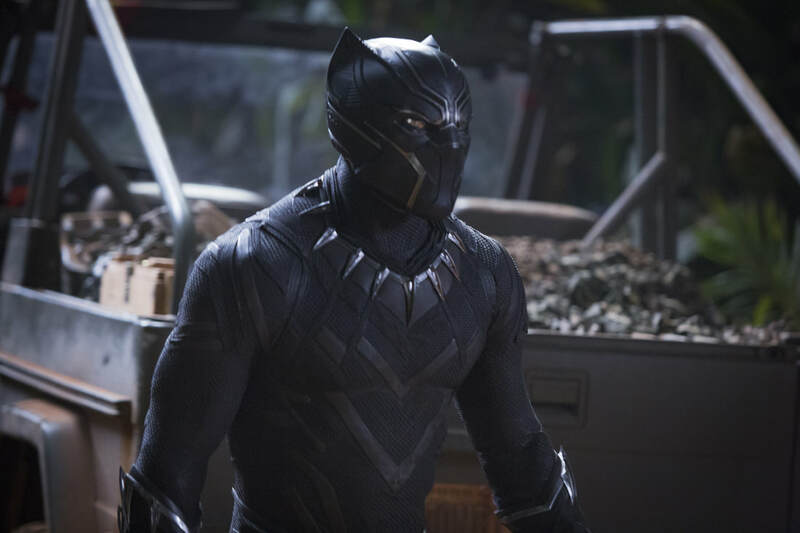 BLACK PANTHER does not hold back on its commentary of the mistreatment of black people in America and around the world. After the introduction, it is no coincidence the plot commences in 1992 in California. The period of the Rodney King police beating and the Los Angeles riots. The murder of unarmed African Americans continues tragically unabated. He is not the baddie, he is the antagonist. Note the difference. 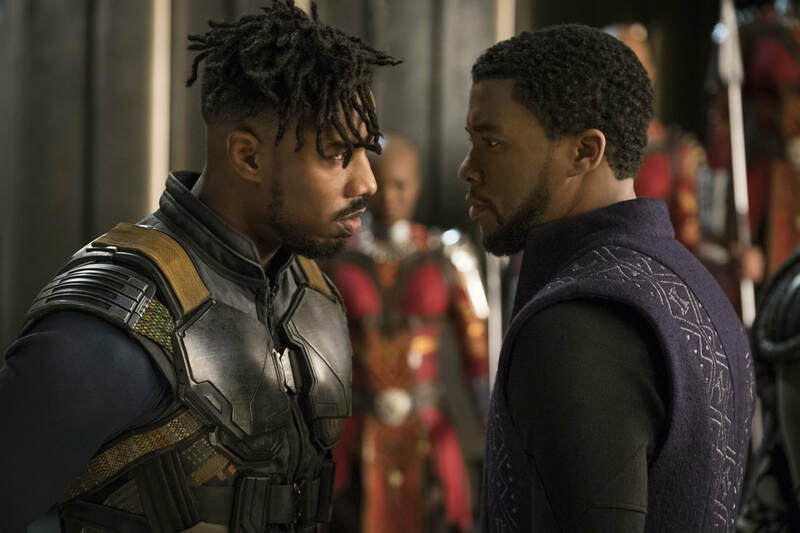 Erik Killmonger (Michael B. Jordan) wants to redress the balance and wants reparations. T’Challa and Erik are analogous to Professor X and Magneto from X-MEN. As the story unfolded, I could not believe the day had finally arrived where I was watching a multi-racial comic book movie debating how colonialists and oppressors should be dealt with. The narrative is full of hope too, asking how to help your downtrodden people to rise up peacefully. BLACK PANTHER is that rare thing: An action flick suffused with righteous political fury. A contender for Marvel’s best film.